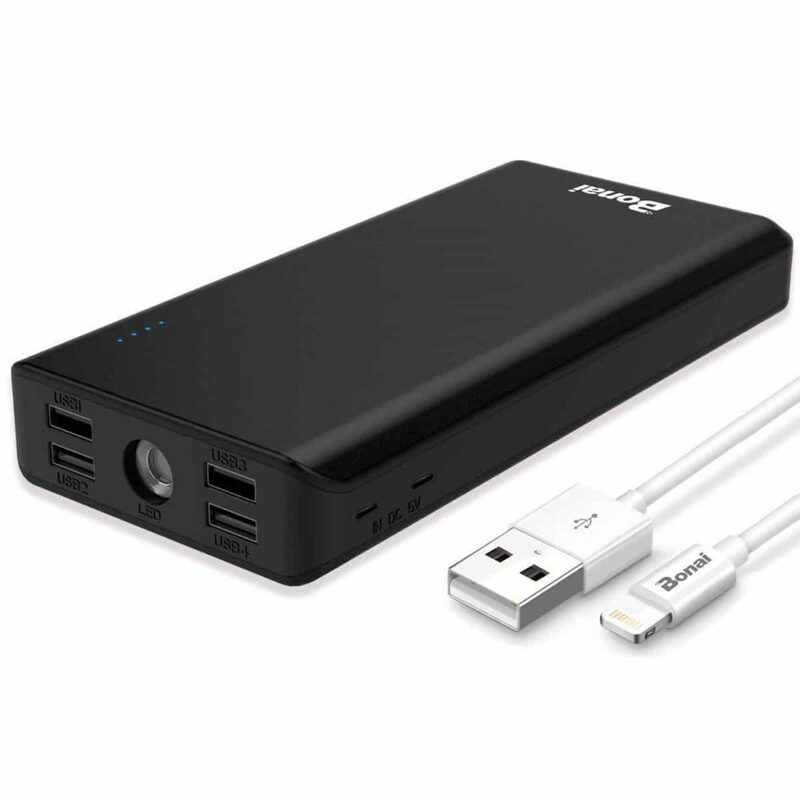 With our increasing use of battery powered equipment and a need for charging on the move, power banks, or portable chargers, are becoming commonplace. Everything from mobile phones to battery powered headphones, portable speakers, and tablets can be charged via a power bank. 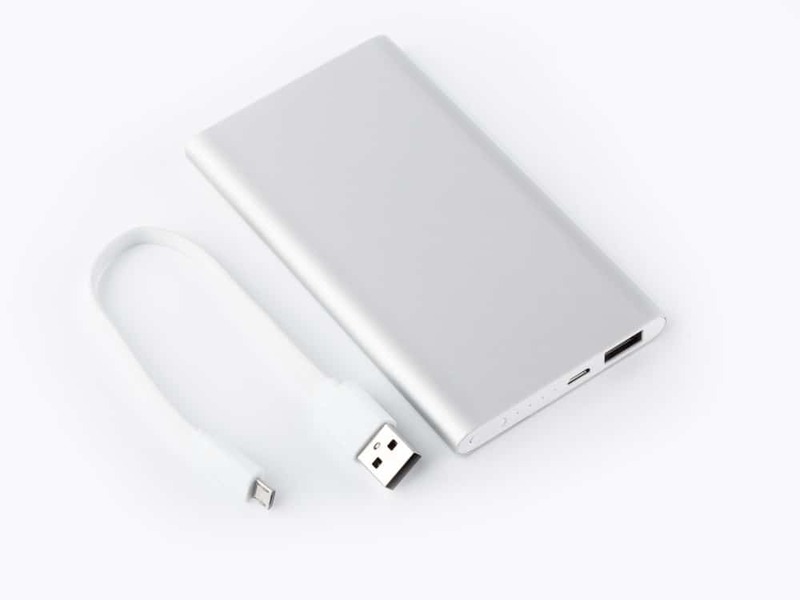 Power banks are charged up using a USB charger when power is available, and then used to charge your battery powered devices. Power banks come in a variety of shapes and sizes to suit your requirements, including solar powered. These have photovoltaic panels, and are really only able to trickle-charge the internal battery when placed in sunlight because the solar cells are relatively small, but nevertheless this can be a very useful function. 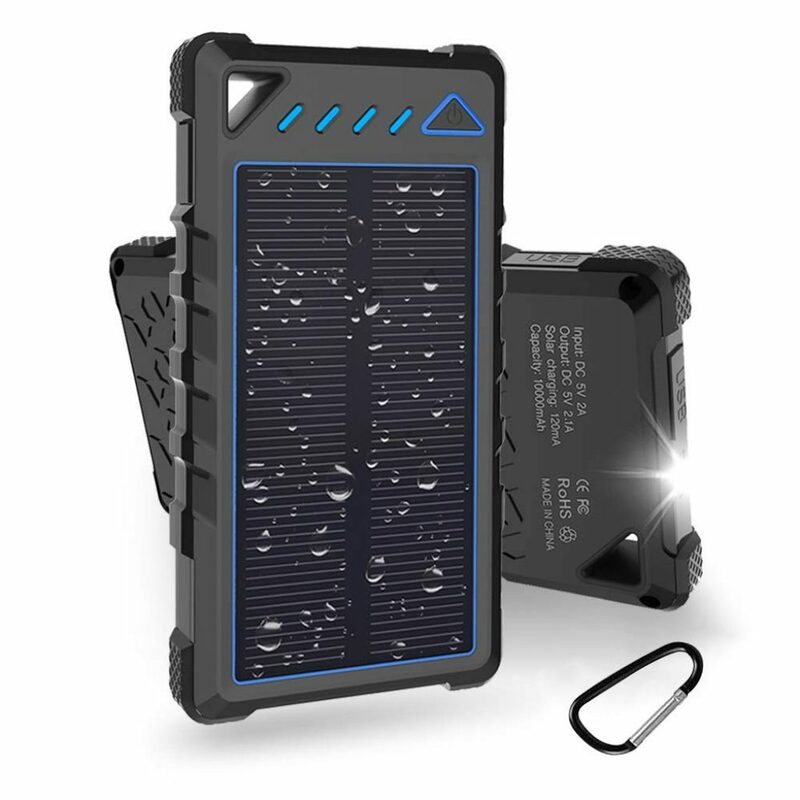 The solar charging is a good back-up, especially if you are travelling away from mains power. Lithium-Ion batteries have a higher energy density, and are cheaper to manufacture, but can have issues with ageing. Lithium-Polymer do not suffer from ageing to the same extent so are a better choice. However, due to their higher manufacturing costs they may not suit all budgets. It’s looking increasingly likely that soon we’ll all need our own power bank, so here’s our take on the best-selling ones. 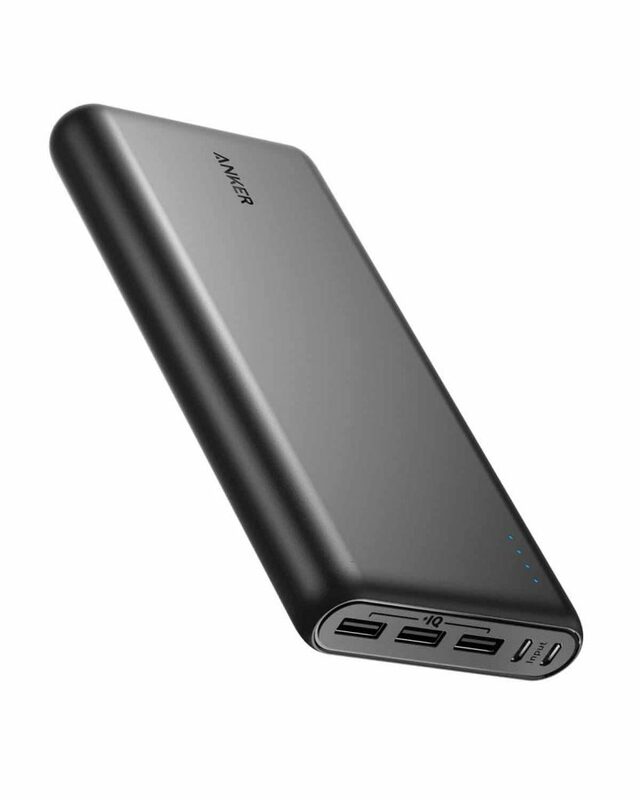 This neat little power bank from Anker packs a real punch – 26800mAh of power from 3 ports, which is enough to fully charge most phones over 6 times. It’s nicely durable, scuff resistant, and comes with two USB cables. Charging at an impressive speed, we could simultaneously power up our devices, and the power bank itself holds a charge for over a week, depending on usage. It’s neat and very user friendly. Some may consider it a bit pricey, but for us it’s worth it. If you’re looking for a rapid charging, ultra powerful power bank that has the ability to charge up to three devices at once, this is one we’d recommend. With four USB ports, this deceptively small power bank is a well thought out accessory. The smart circuitry provides protection against overcharging, short-circuiting, and voltage instabilities, so any device is safe. It also has a built-in flashlight for when you’re scrabbling in the dark for USB cables, which are handily included. Ergonomically designed, and with in-built polymer to protect against dust particles, rusting, knocks, and being dropped, Bonai have really thought this one out. The flashlight is an awesome inclusion and it comes in a range of colors. Even charging four phones at once didn’t stop its battery lasting nearly a week. Whilst still small, it’s a little larger than some of the packs we tested. Bonai have designed a good looking, efficient, and very useable battery pack. Definitely one for the gift list. With pleasingly rounded corners, and neon blue LEDs, this stylish solar power bank holds a pretty decent 10000mAh of power. It has two USB ports enabling a couple of devices to be charged simultaneously, a 3 mode flashlight, whistle and compass which make it ideal for those weekend trips off the beaten track. This eco-friendly power bank from Hobest has two means of charging up – via a power outlet or by using solar technology. This means it’s great for camping trips or long distance travelling, especially with the compass, emergency whistle and hanging hook. It’s also water and dustproof and, being incredibly robust, designed to survive being dropped. For some reason our Samsung Note 4 took longer to charge than other models, not excessively so, but longer nonetheless. Hobest’s addition to the power bank market is hard wearing, aesthetically pleasing and environmentally sound. It does the job perfectly. What else is popular at The Gadget Nerds?